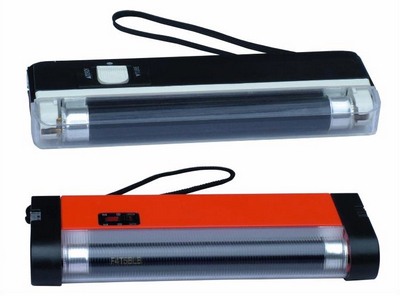 Golden-132 Multi Function Banknote Detector can detects any items with Fluorescent mark. Golden-132 is ideal for use at banks, offices foreign exchanges retail shops, airports etc. This hand-held precision counterfeit detector with magnifier is the perfect check mate for detecting forge note. Applicable: banknotes, credit cards, checks, identity card, passports, permit cards,..etc.